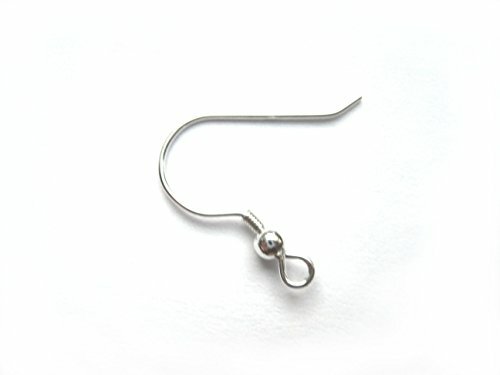 This .925 sterling silver ear wire comes with a 3 mm ball, a coil, and a loop that makes it a simple and easy way to attach beautiful dangles. These Earring Hooks are 19 mm tall and 20 mm diagonally. 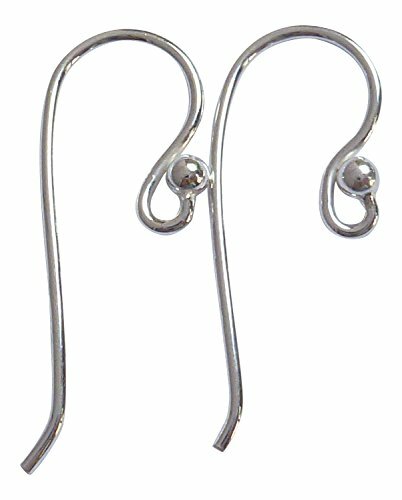 Sold in packages of 20, these earwires will suit your earring-making needs wonderfully. Wire Protectors hide and protect thread and beading wire up to .021 Inch diameter from the everyday wear and tear caused by toggles, clasps or other findings. Use like French wire to put the finishing touch on your necklaces and bracelets. Also helps you to leave uniform size loops at the end of your pieces. Measurements: 4.5mm total length, 1mm thick Quantity: You will receive 20 loops, enough for 10 complete necklaces. HOW TO USE WIRE PROTECTORS 1) Thread a crimp bead onto your beading wire, followed by a Wire Protector. You'll need to guide the wire through on end hole, around the back (making sure it lays in the channel), and then back out through the other end-hole of the Wire Protector. 2) Next, hook the threaded Wire Protector onto a finding as you would with an open jump ring. 3) Slightly pinch the Wire Protector so that the two end-holes touch, then pull the end of the wire and insert it back through the crimp bead. Now you can crimp the bead, snip the excess wire and begin beading. A medium sized pair of endless hoop earrings is a must have accessory for any jewelry lover. 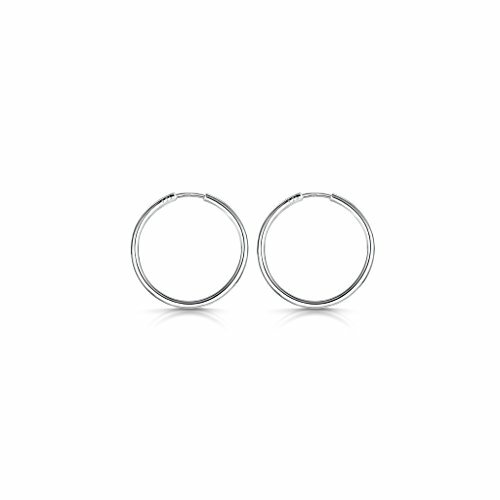 These sterling silver earrings have a 22mm diameter, making it a perfect size for any outfit. Wear them in the work place, then transition to a night out; these hoops are extremely versatile. Featuring a 1mm wide tube, they are simple, elegant, and timeless. With its continuous back finding clasp, you can wear these earrings comfortably and confidently. 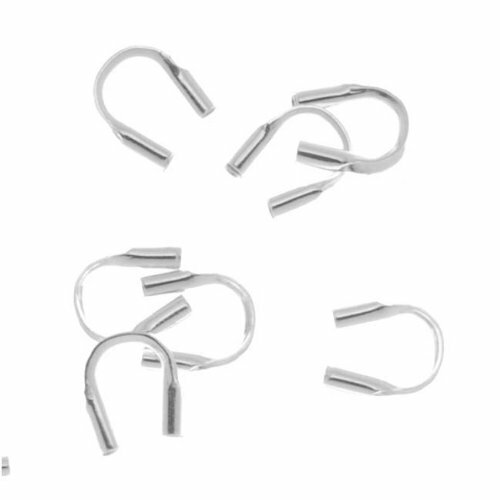 Each pair of hoop earrings comes gift wrapped in an attractive package. 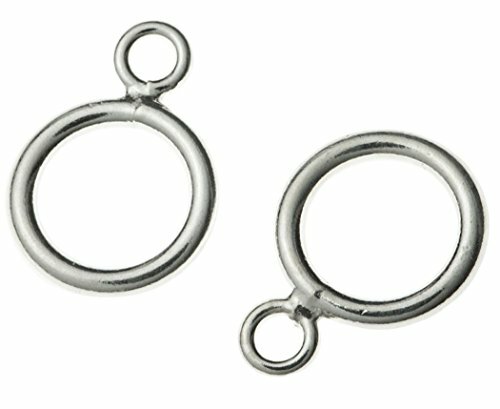 These hoops are made from 0.925 sterling silver. All sterling silver is nickel free, and great for sensitive skin. It is NOT plated, and has a hollow body. Each earring comes authenticated with a sterling silver stamp. __________ Our Values: We believe that customers are entitled to be greeted with an attitude of "yes" by us. We want our customers to be treated the way we would want to be treated as a customer. We have a sense of urgency in responding to every customer order, informing that his or her order is progressing well, addressing any concerns that are brought up and reassuring the customer in a timely and smooth manner. We want to add a little "wow" or delight the customer at unexpected times. Each item comes in a delightful and eye catching package. Discover the Vast Designs sterling silver jewelry findings collection. Our hand-selected assortment features high quality findings that anyone, even non-traditional-jewelry-makers, can easily use with their jewelry projects. Each one of our pieces receives rigorous quality inspection to ensure each one meets high standards of quality so that our customers receive only the best products available. Pieces from the Vast Designs sterling silver jewelry findings collection come packaged in a transparent polybag with a "Vast Designs" logo inside. This ensures our customers are receiving authentic "Vast Designs" products. 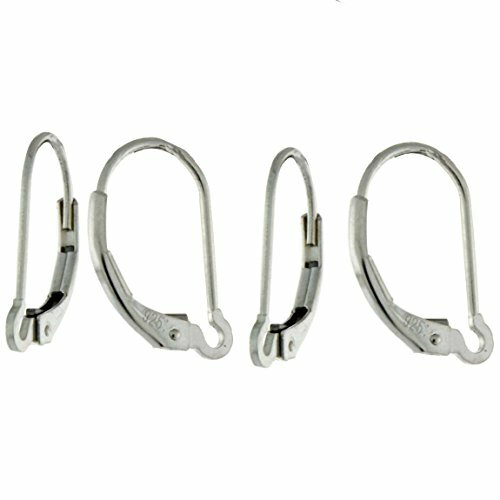 These interchangeable leverback earring wires allow you to create unique earring designs. 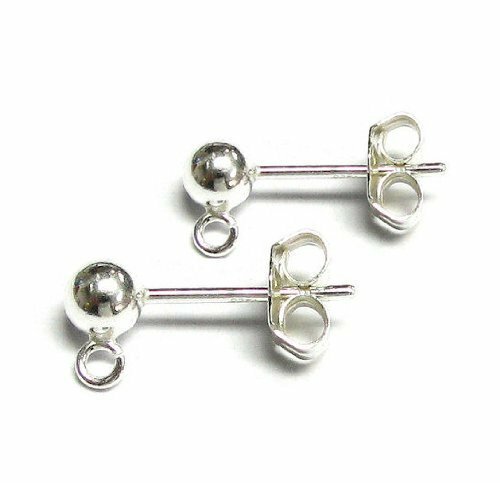 Why choose Interchageable Leverbacks They are called "interchangeable" because you can easily add your favorite headpins with beads or earrings. 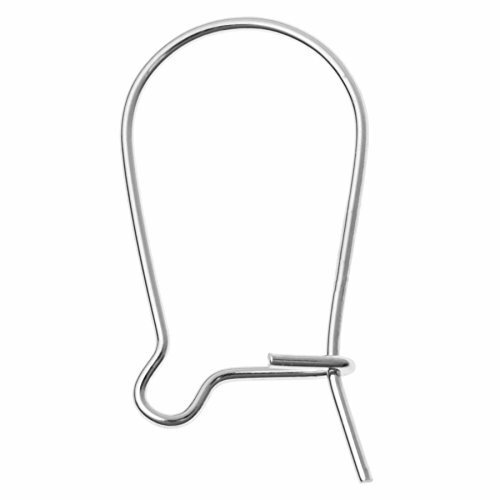 Simply open the finding and slide through the open loop down to the bottom of the earwire. The high polish sterling silver finish gives your latest creations a rich look that glistens with the slightest light. They are comfortable to wear and above all remain in your ears so no more fear of losing another one of your creations. With just one pair, you have the flexibility of adding an endless number of dangles to hang from them. 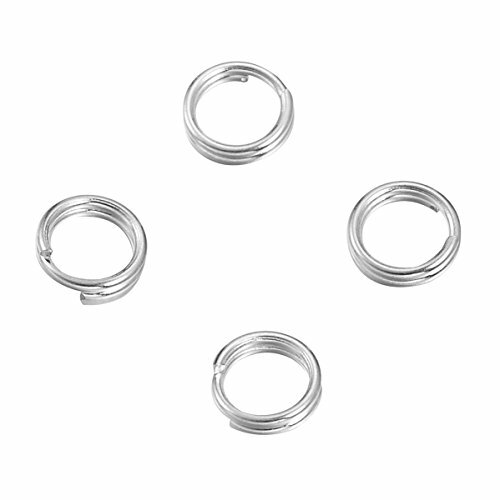 Compare prices on Sterling Silver Wire Loops at ShopPlanetUp.com – use promo codes and coupons for best offers and deals. We work hard to get you amazing deals and collect all available offers online and represent it in one place for the customers. Now our visitors can leverage benefits of big brands and heavy discounts available for that day and for famous brands.